The Domina polished nickel Georgian single wall light, part of the Envisage premium lighting range. 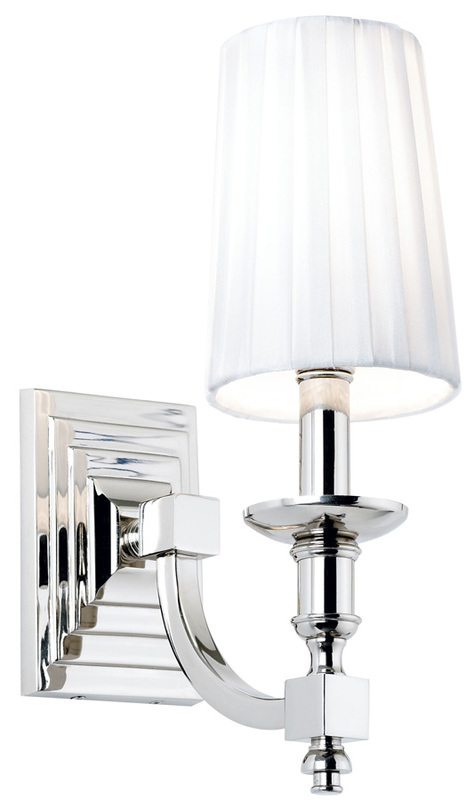 A stunning Gergian style wall light with a detailed polished nickel wall mount and single curved arm, with a metal candle pan and white pleated fabric shade. 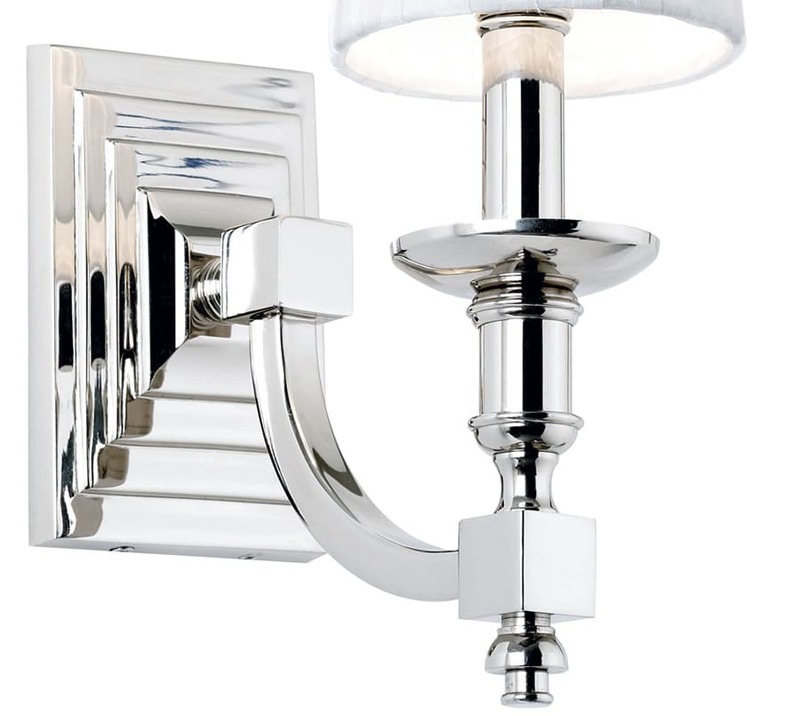 A stunning wall lamp design that will look fantastic in any traditional or modern setting.